I used to be only convinced that Zimbabwe's economic deterioration was the only threat to President ED Mnangagwa's leadership. The proposed Gukurahundi National Healing & Reconciliation is a real threat to the future leadership of President ED Mnangagwa. If President ED Mnangagwa or Minister Perence Shiri is convicted and forgiven of Gukurahundi atrocities, will he be eligible to remain as a President or Minister? There is no evidence to suggest that President ED Mnangagwa is serious with Gukurahundi healing. When 6 people were killed by army on August 1 2018, President ED Mnangagwa appointed the Giant former President of South Africa Kgalema Montlanthe to handle the matter. Surprisingly, on Gukurahundi reconciliation (with 20,000 people alleged to have been killed by ZANU), President ED Mnangagwa deliberately appointed an inexperienced Permanent Secretary (who was under breastfeeding during Gukurahundi) to lead the healing process. Where is the seriousness then? This piece seeks to demonstrate that Gukurahundi National Healing & Reconciliation has a great potential of ending President ED Mnangagwa's leadership. 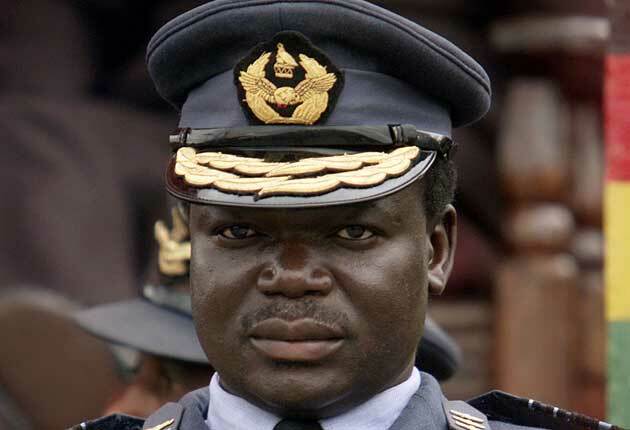 According to the information from the historical documents, President ED Mnangagwa and Perence Shiri seem to be directly connected to the Gukurahundi atrocities just like the former President Robert Gabriel Mugabe. The former President RG Mugabe avoided Gukurahundi National Healing & Reconciliation (since 1985) because he knew that the process could sacrifice his leadership. Once a person is convicted of the Gukurahundi atrocities, the next step is to forgive him/her before being asked by natural justice to resign from his/her national duty. President ED Mnangagwa has not been ready to initiate Gukurahundi National Healing & Reconciliation because the process is embarrassing and sacrificial. I salute President ED Mnangagwa for being brave, calling for Gukurahundi National Healing & Reconciliation is not a joke. However, the President should be prepared for any eventualities if the process is to proceed. I believe that his advisers have already warned him. I will not be surprised if President ED Mnangagwa is going to make a U-turn on Gukurahundi National Healing & Reconciliation or postpone the process to a period towards the end of his second and last term in office. If you scrutinize closely the methodology published by the Permanent Secretary of the ministry of justice, President ED is not ready for public confessions. Time will tell on whether President ED Mnangagwa is prepared to implement the entire methodology. Apart from public confessions, President ED Mnangagwa and ZANU PF will have a tough time during the period of exhumation of copses. The period is taxing, emotional and journalists will be on standby. The period shall negatively affect the image & support base of ZANU PF not only in Matabeleland but throughout the globe and space. The true character of ZANU PF will be revealed. The exhumation process is likely to determine the fate of President ED and ZANU PF in 2023 elections. I am therefore forced to believe that President ED Mnangagwa is likely to push for public confessions and exhumation of copses to a date beyond 2023. The way Gukurahundi National Healing & Reconciliation strategy was announce does not show seriousness on the part of President Mnangagwa. To give a beautiful, cute Permanent Secretary such a huge duty is a mockery to our intelligence, the duty requires experienced and mature persons to preside over it. There is no doubt that President ED Mnangagwa appointed a weak person that he can manipulate anytime. The Gukurahundi National Healing & Reconciliation strategy should have been discussed by the cabinet before taking any actions. The issue is not only tribal but also political, therefore, the process should have included political parties and traditional Chief. In fact, the traditional Chiefs from Matabeleland should have been the first to be consulted by the President before coming to these so-called money making NGOs. President ED Mnangagwa knows that he is capable of manipulating these NGOs in one way or another. I am therefore urging these NGOs to be very careful, they should not claim to be cleverer than the traditional leaders. The methodology unveiled by the Permanent Secretary is wanting, competent and experienced personnel in atrocities should be brought on board. South Africa was once involved in such process and President ED Mnangagwa is supposed to consult experts from that side as well as Rwanda. To consult a permanent secretary who was under breastfeeding during Gukurahundi to lead such a big task is a deliberate mistake made by President ED Mnangagwa. It shows lack of seriousness and preparedness. I can now conclude by saying that Gukurahundi National Healing & Reconciliation is likely to be halted or postponed to a date beyond 2023. If by chance the Gukurahundi National Healing & Reconciliation is implemented during President ED Mnangagwa's dynasty, the President will be forced by natural justice to resign together with Perence Shiri. At the moment, there is a clear evidence that President ED Mnangagwa is not prepared for this task. The president should appoint experienced people in tasks related to the Gukurahundi National Healing & Reconciliation.